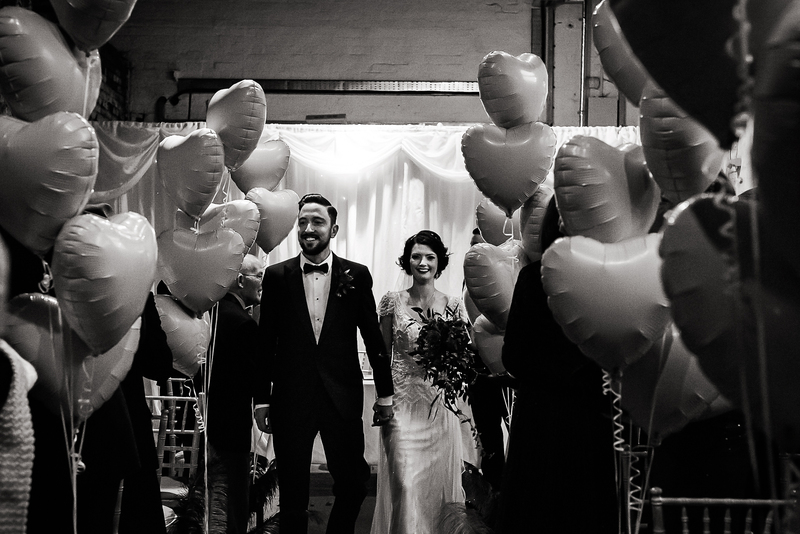 It’s holiday season here on the blog, and as the editorial team take a short break, we’ll be leaving you with a reduced blogging schedule so that you still get your daily dose of wedding lovely. 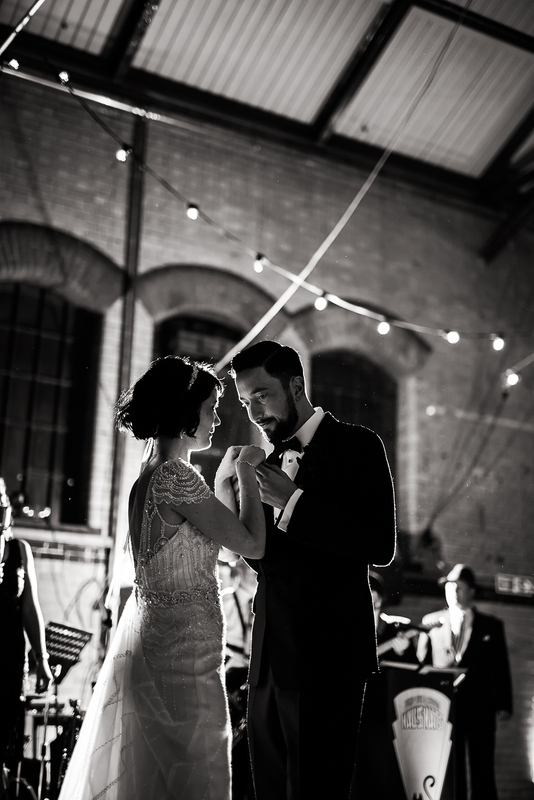 Usual service will recommence on Monday 3rd July 2017 but in the meantime watch out for recaps of some of our favourite Real Weddings from the first half of the year so far. 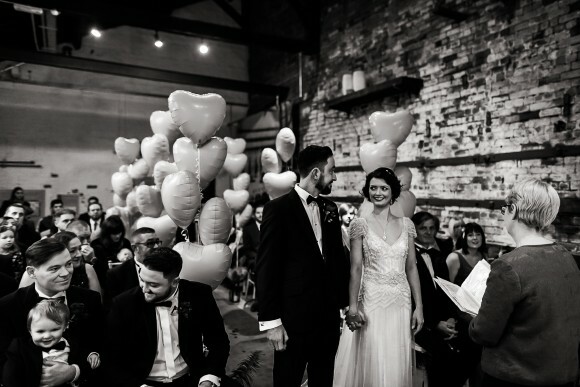 Drop in every day for the very prettiest, most unique wedding inspiration and – if you are a Brides Up North bride – to see if your real wedding was one of our top picks. 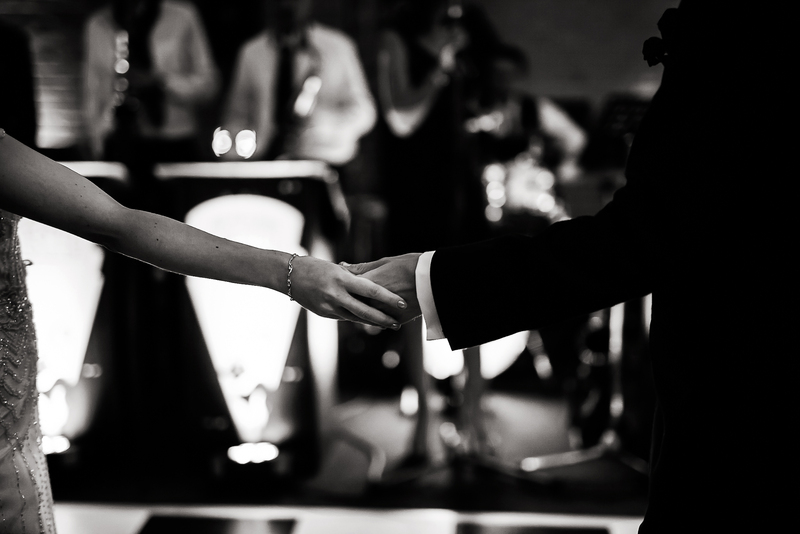 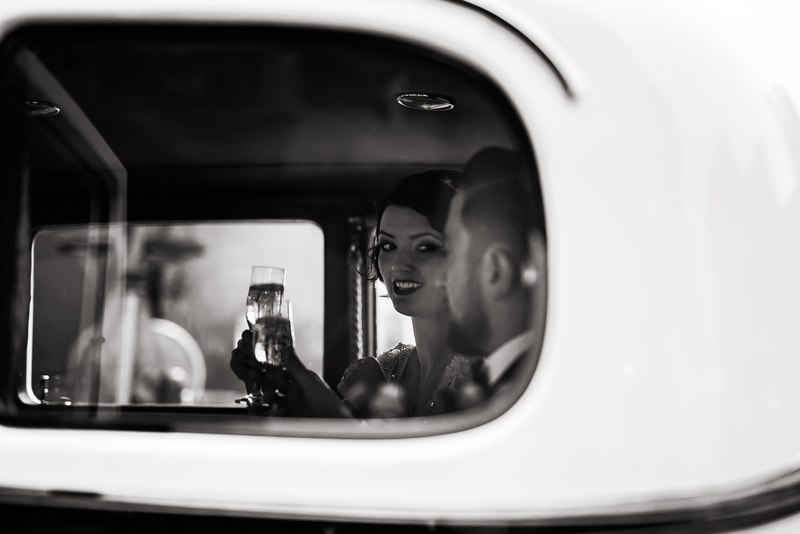 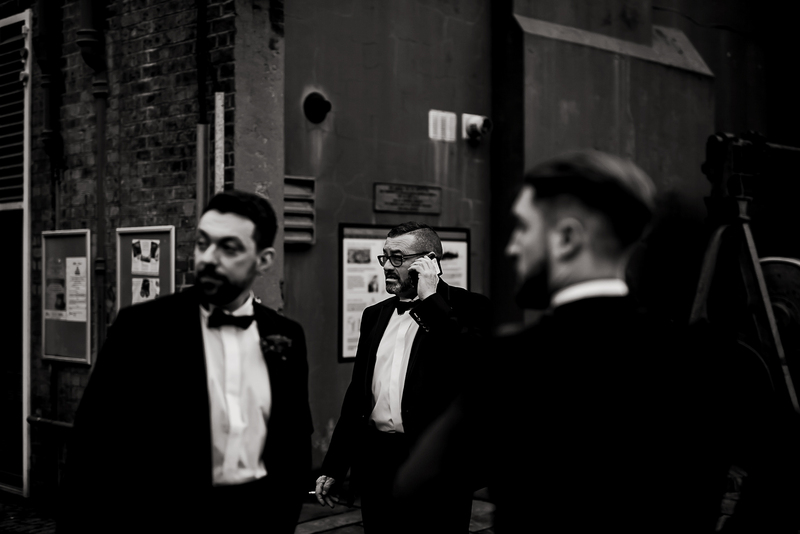 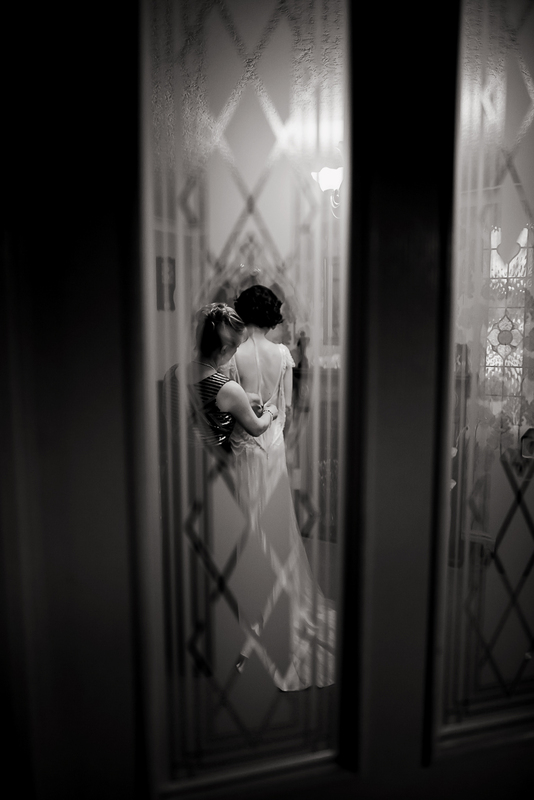 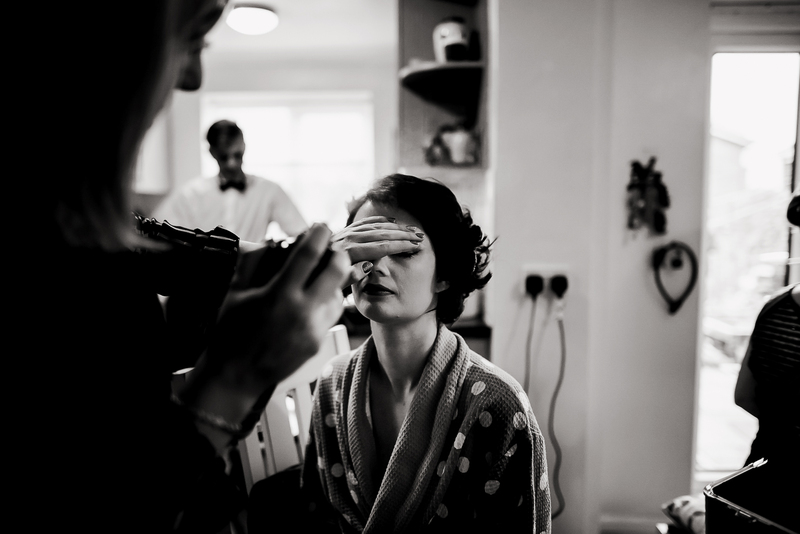 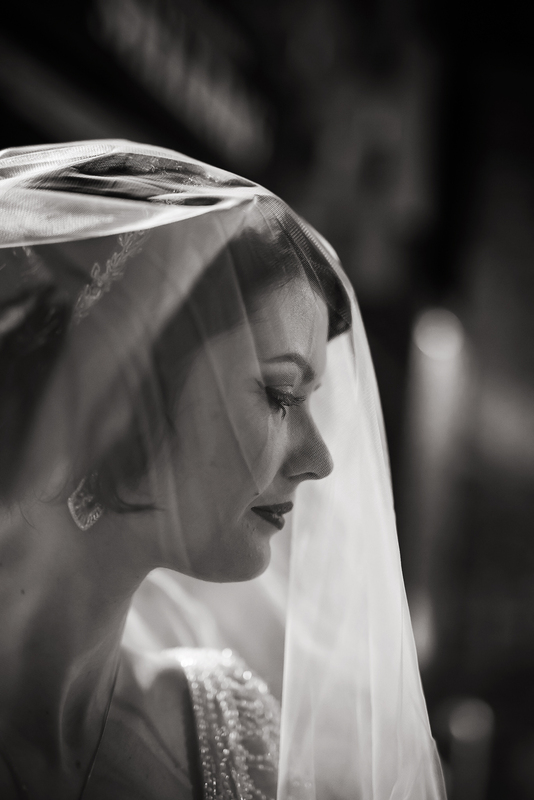 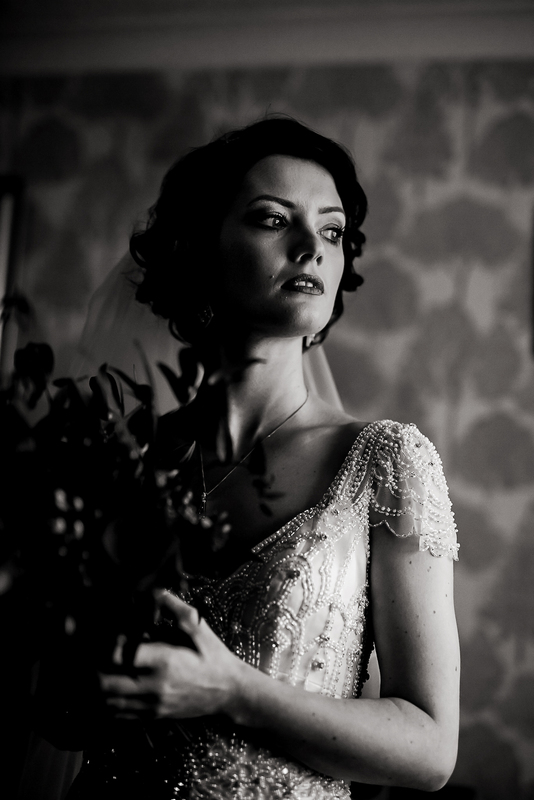 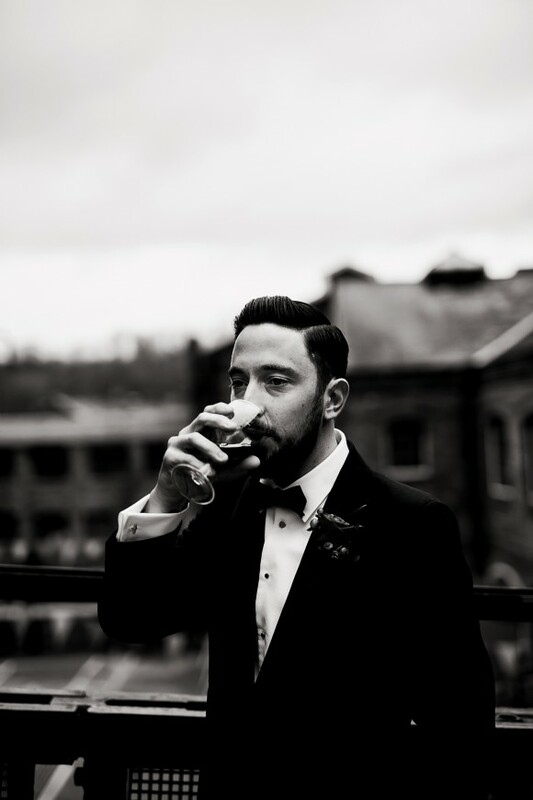 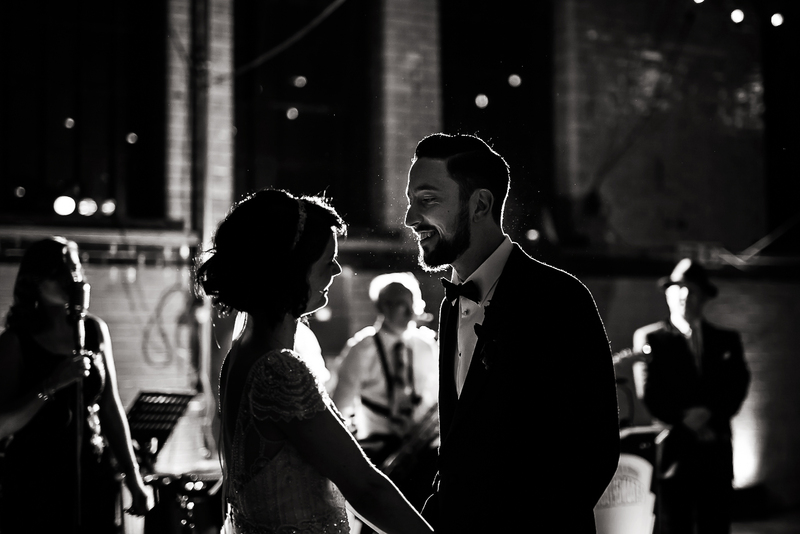 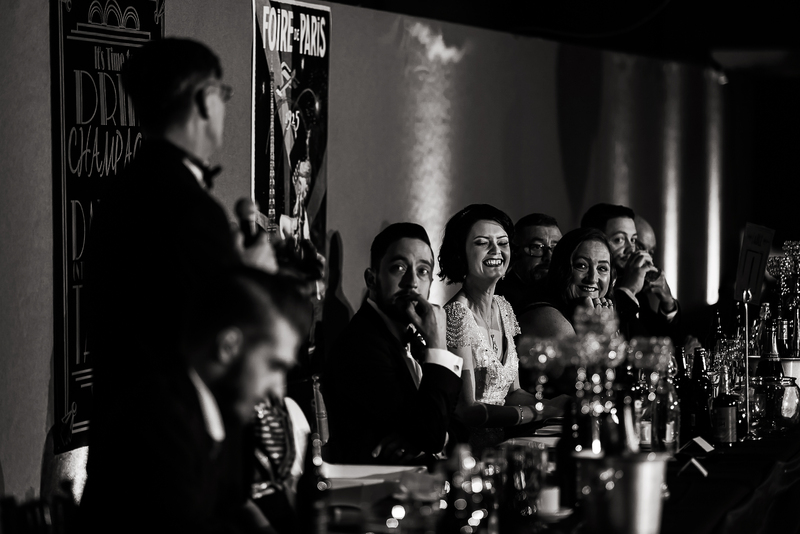 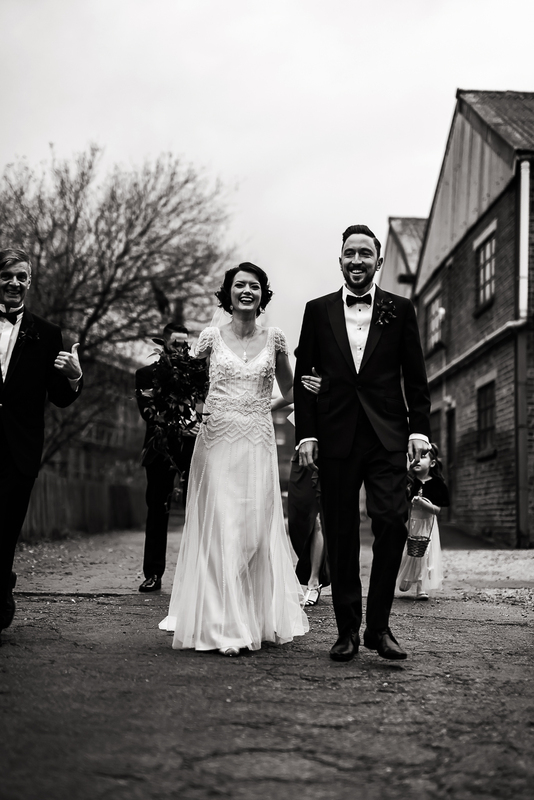 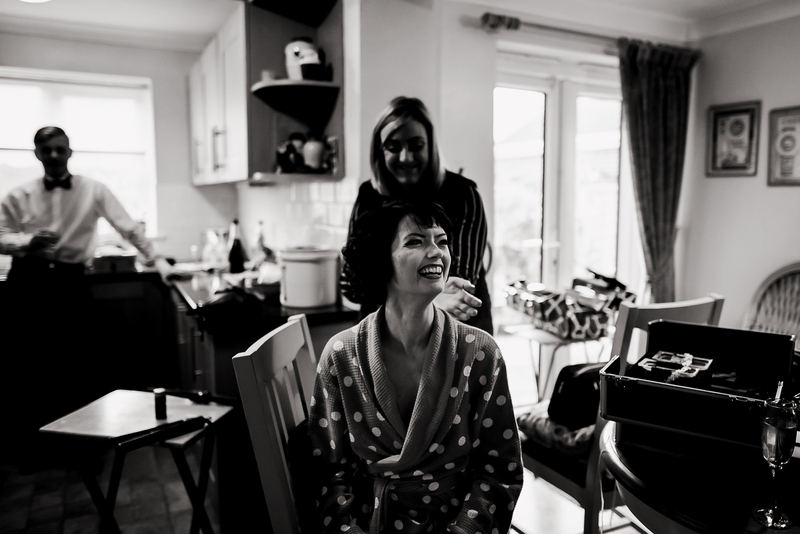 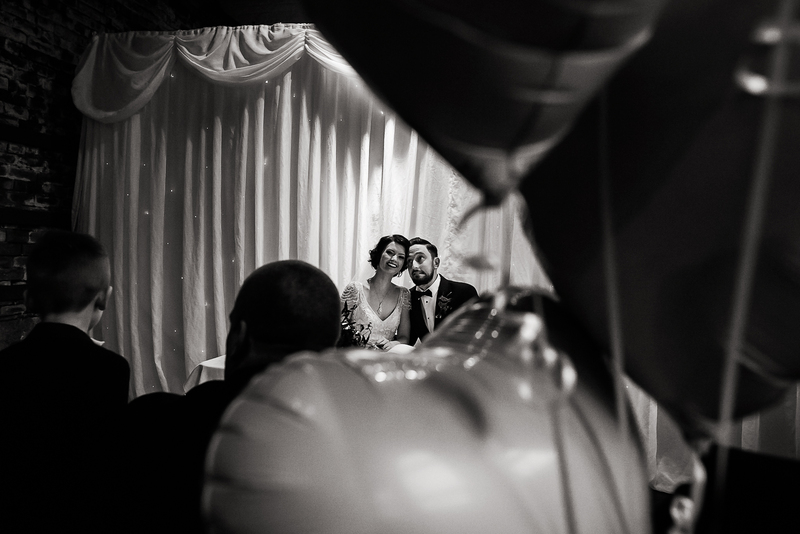 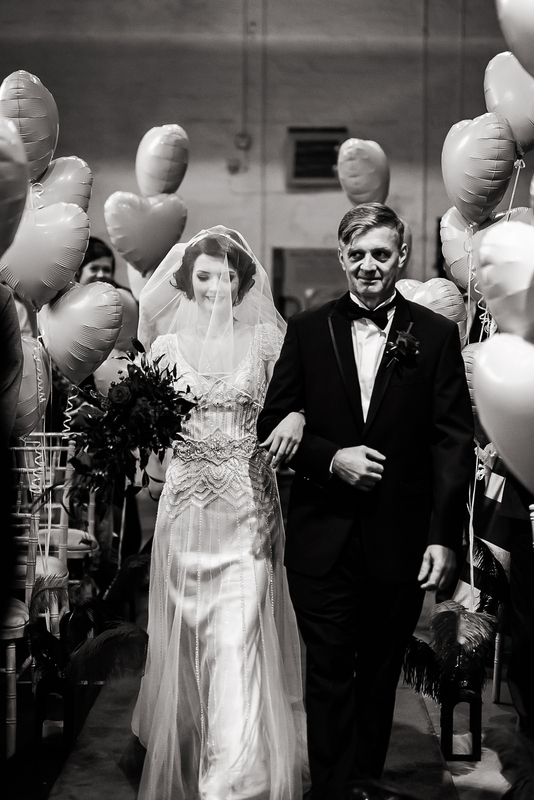 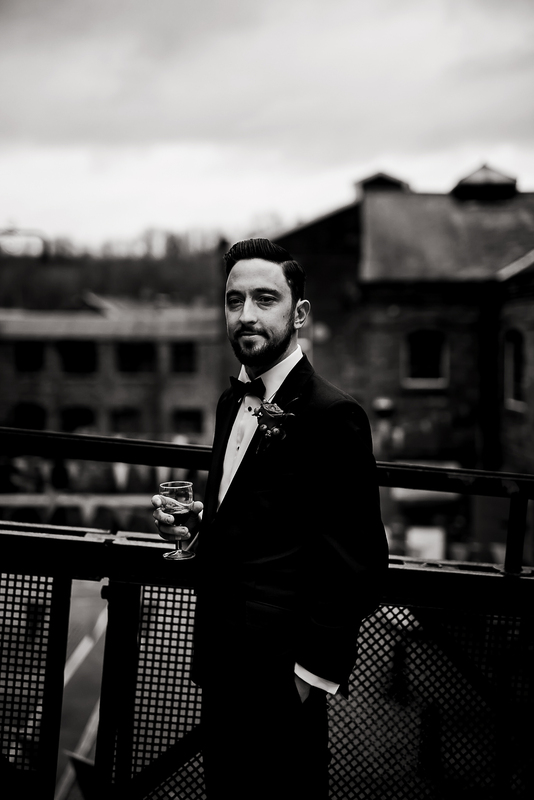 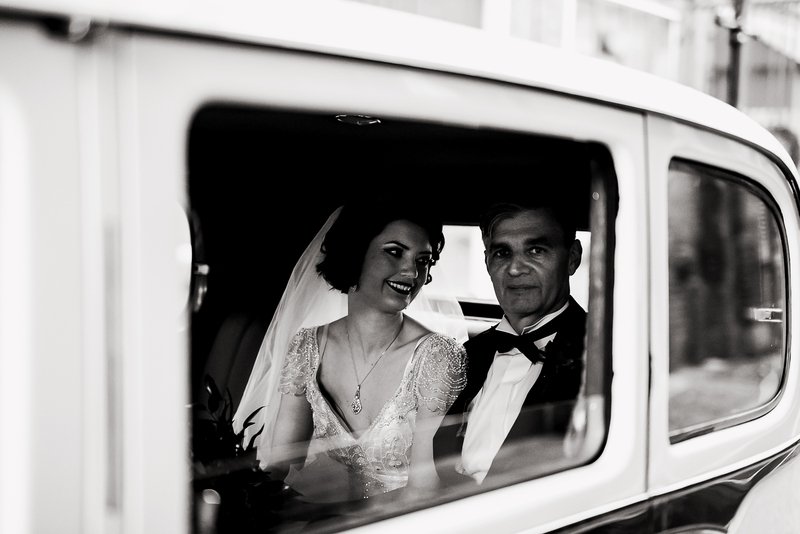 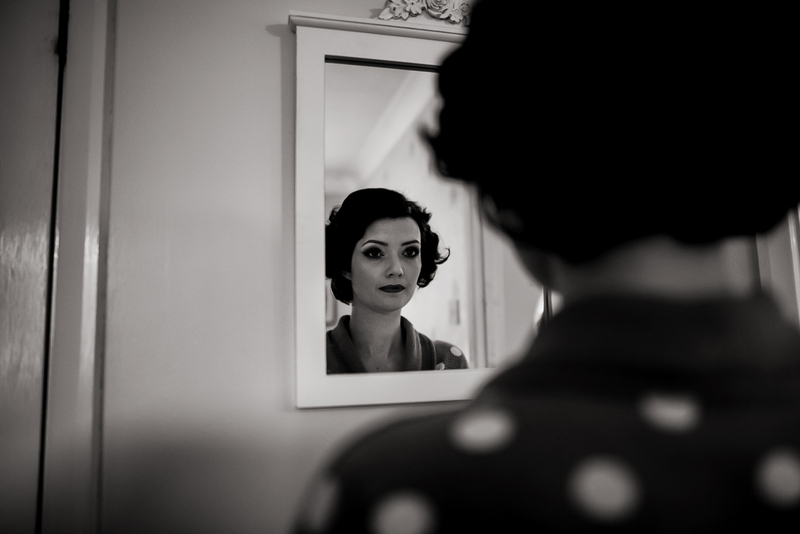 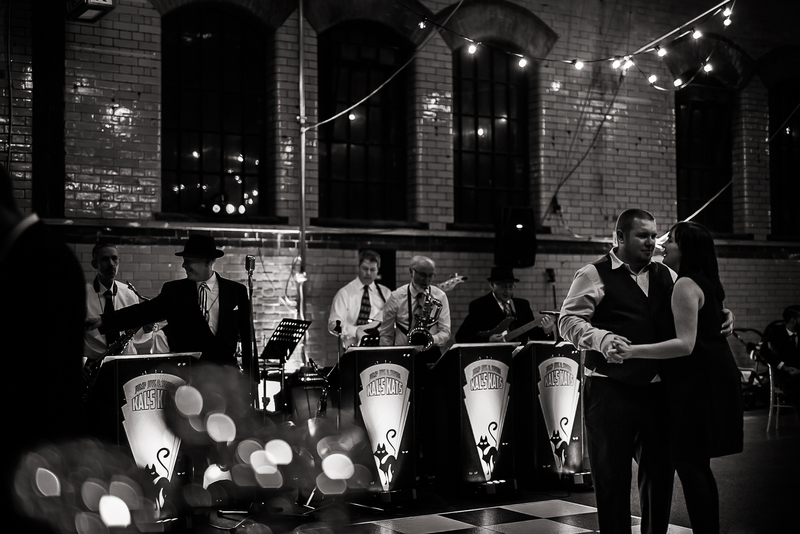 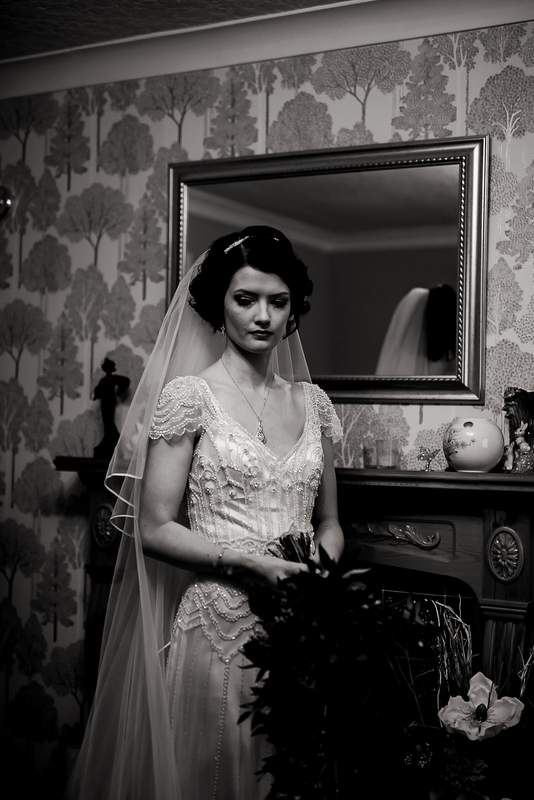 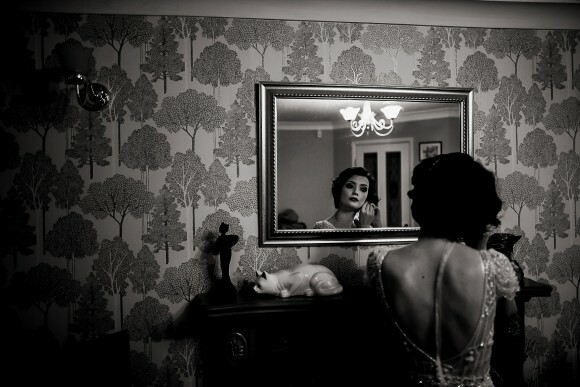 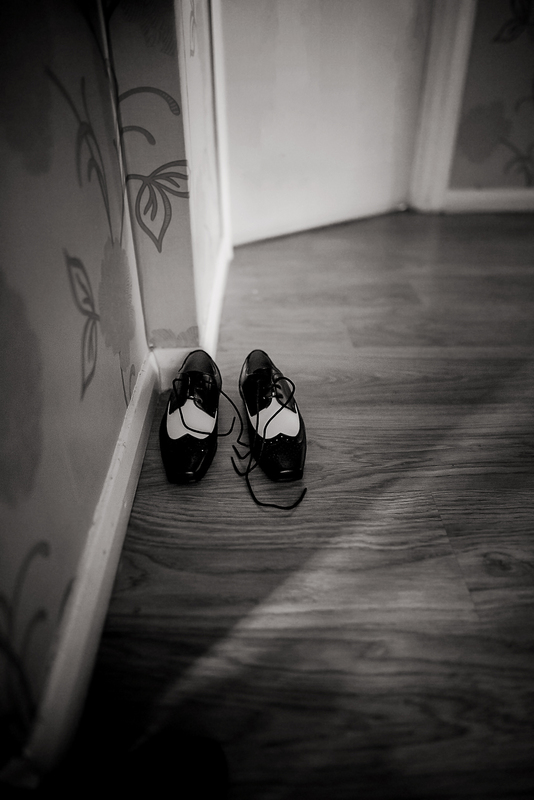 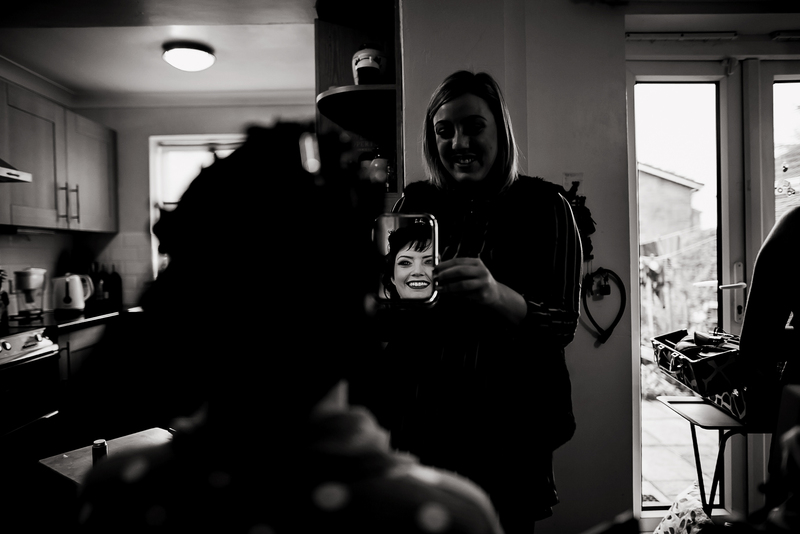 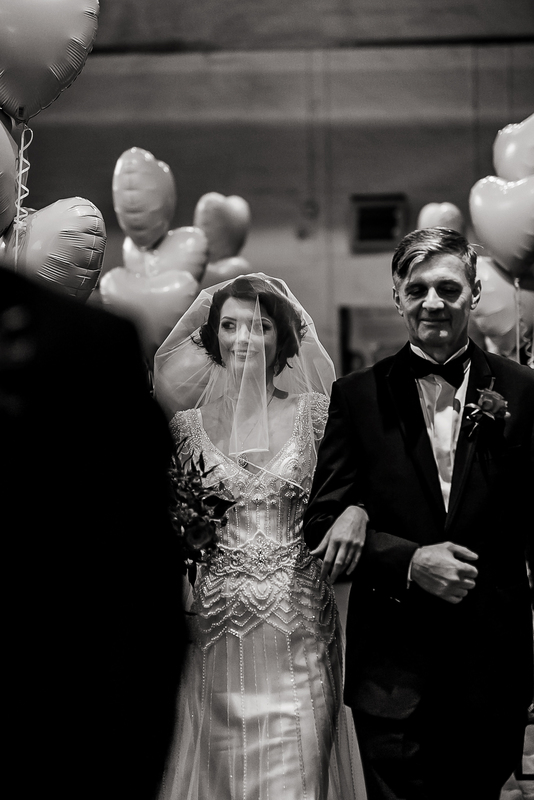 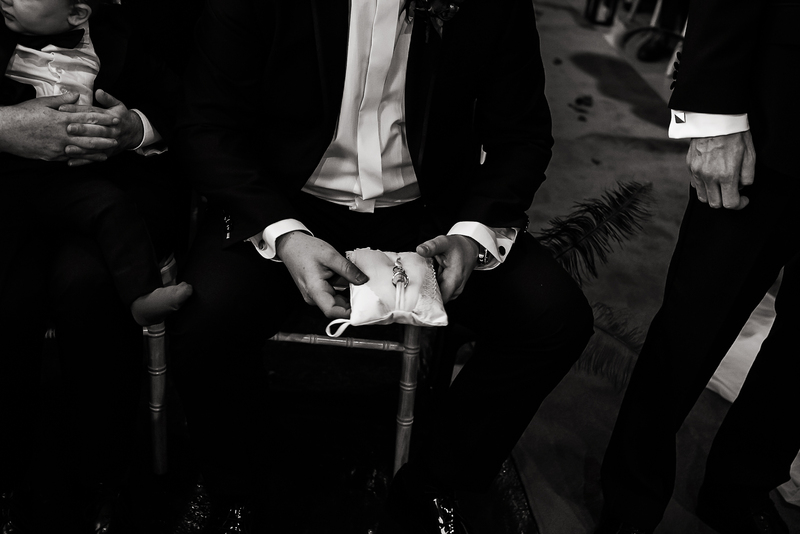 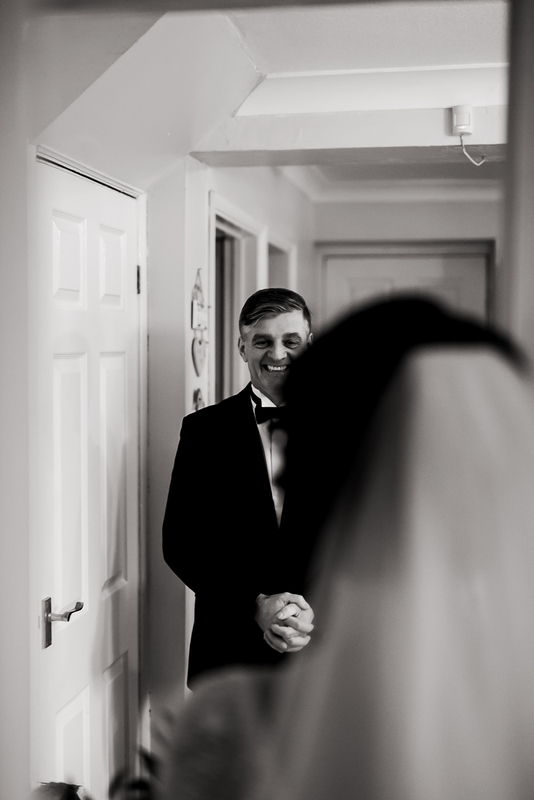 The stars of today’s post, Sara and Ryan, chose to have an entirely black and white wedding album to reflect the beautiful moments of their 1920s style big day. 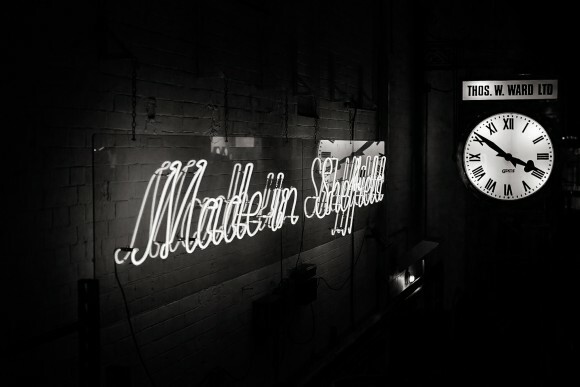 And we couldn’t agree more! 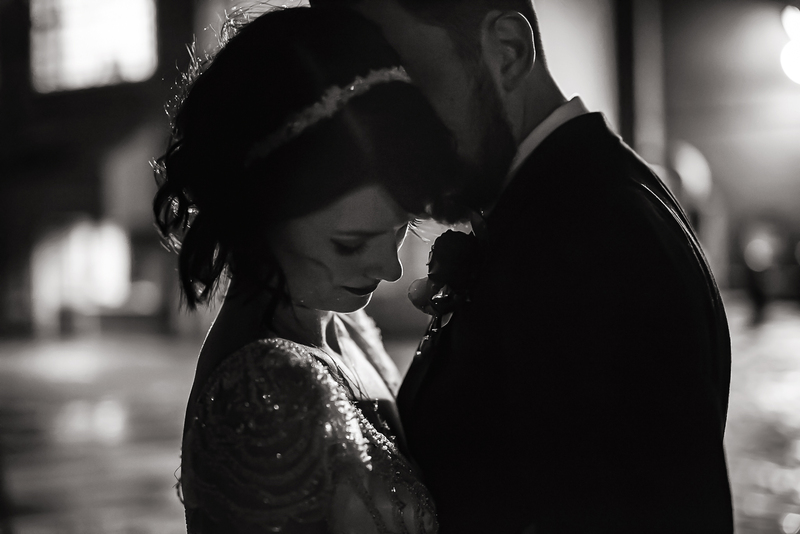 While Sara and Ryan may look like the lead roles in an old romantic Hollywood movie, there’s nothing contrived about their beautiful big day, it’s both honest and opulent from beginning to end! 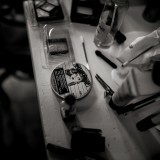 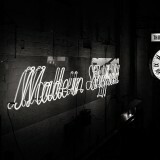 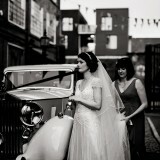 With images by Stu Ganderton Photography. 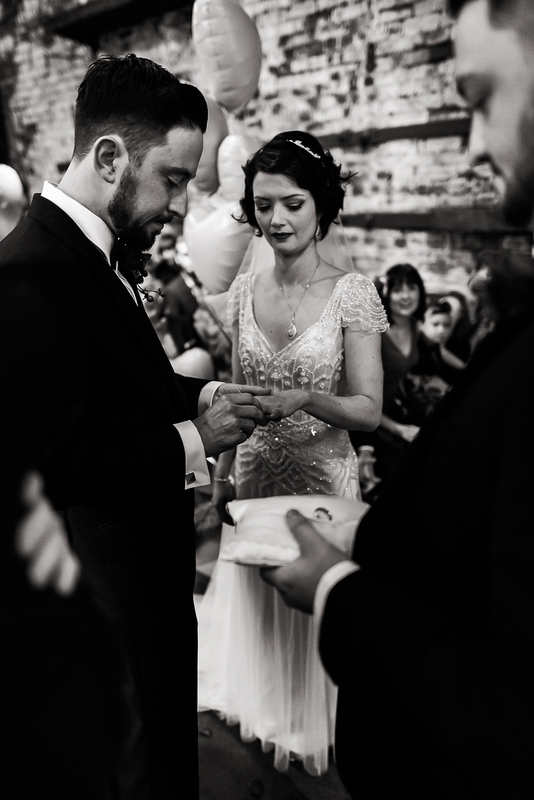 sara says: We got engaged on New Year’s Eve in 2014 while we were away in Verona. 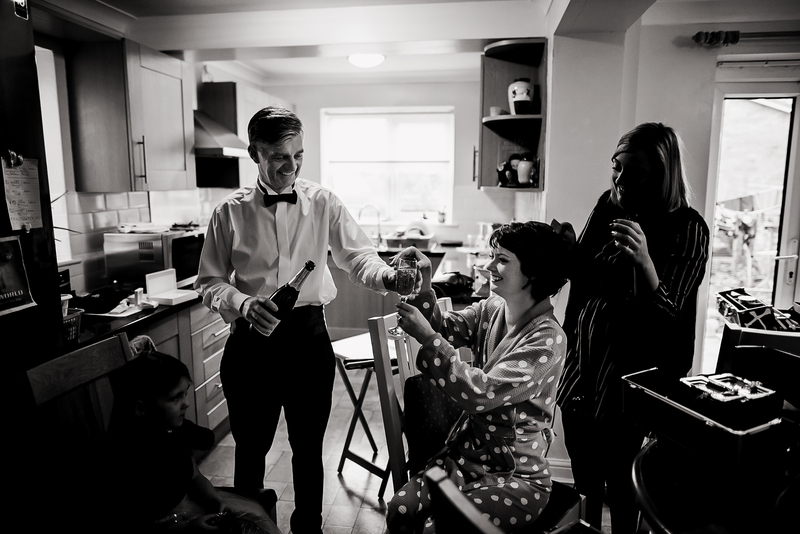 Ryan had planned a grand proposal in front of the amphitheatre but we ended up getting engaged in the hotel room while in our PJs playing Scrabble! 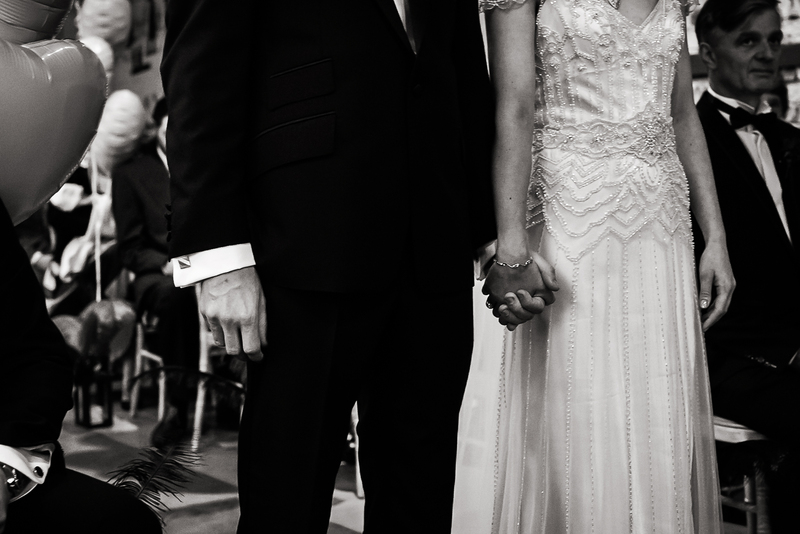 We set the wedding date for 10th December 2016. We chose this date as we love winter and this would give us enough time to get married and have a honeymoon before Christmas. 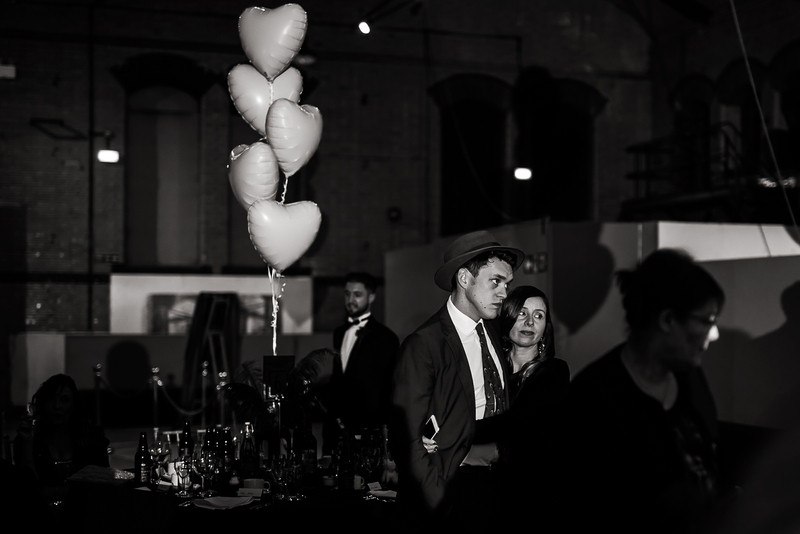 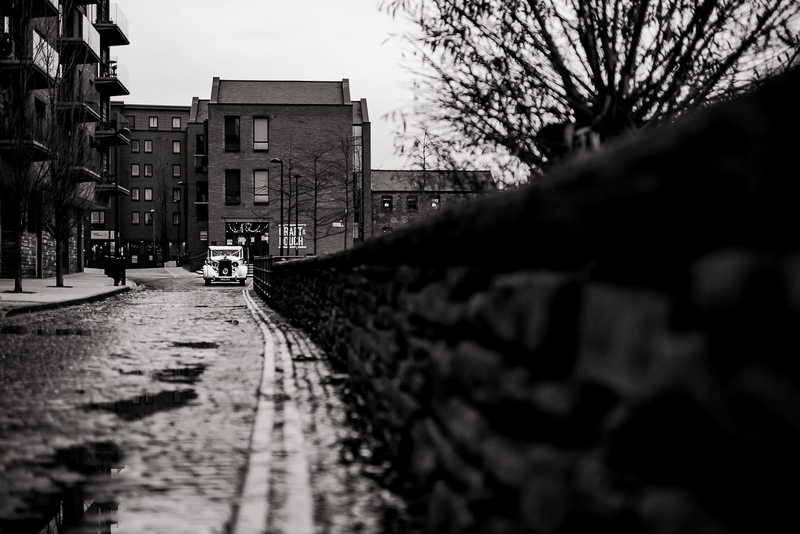 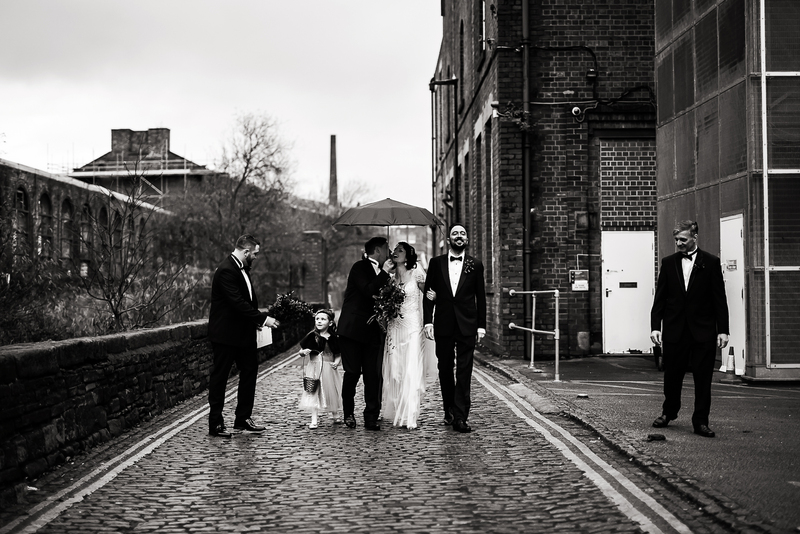 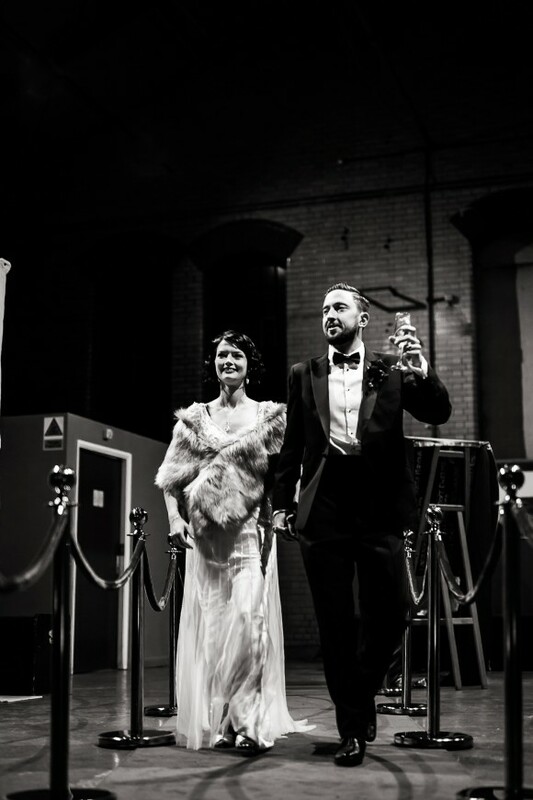 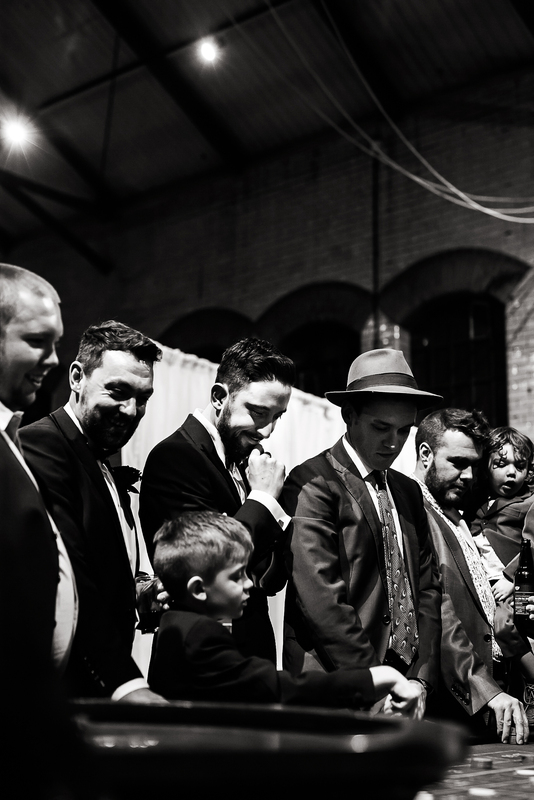 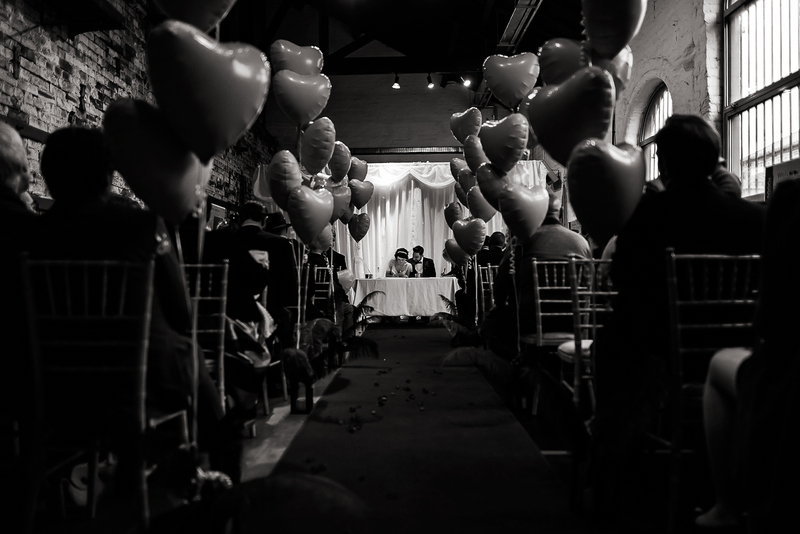 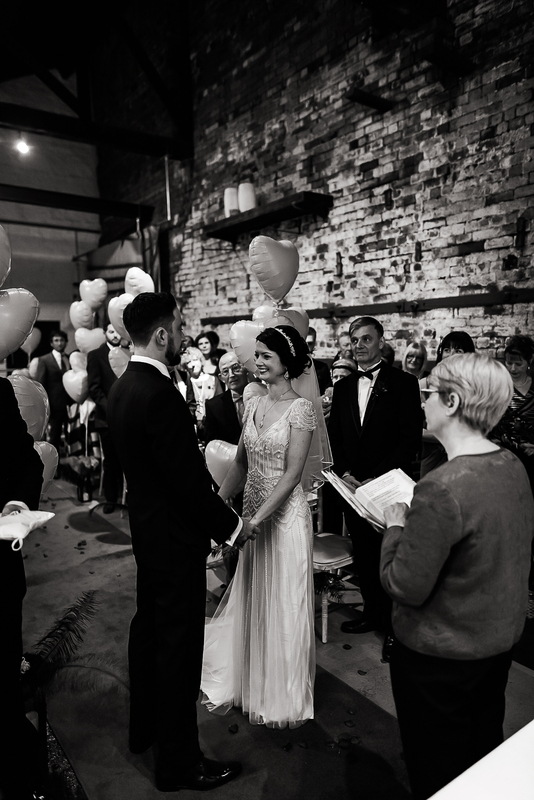 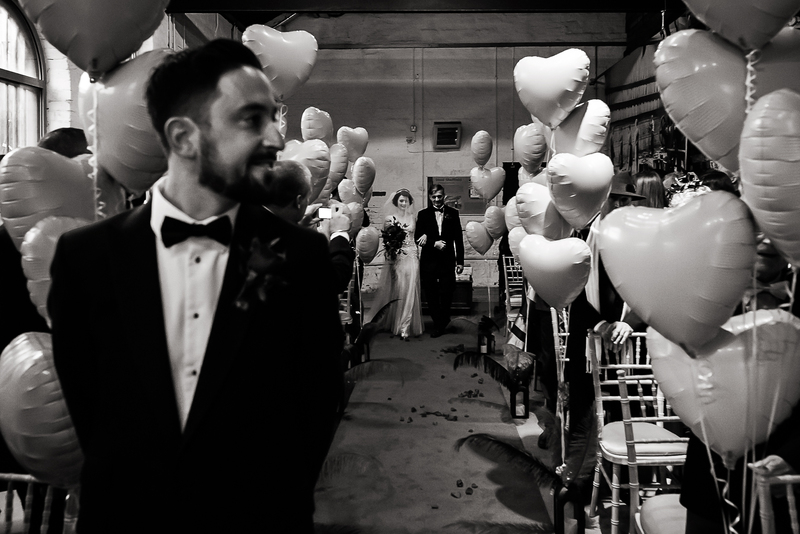 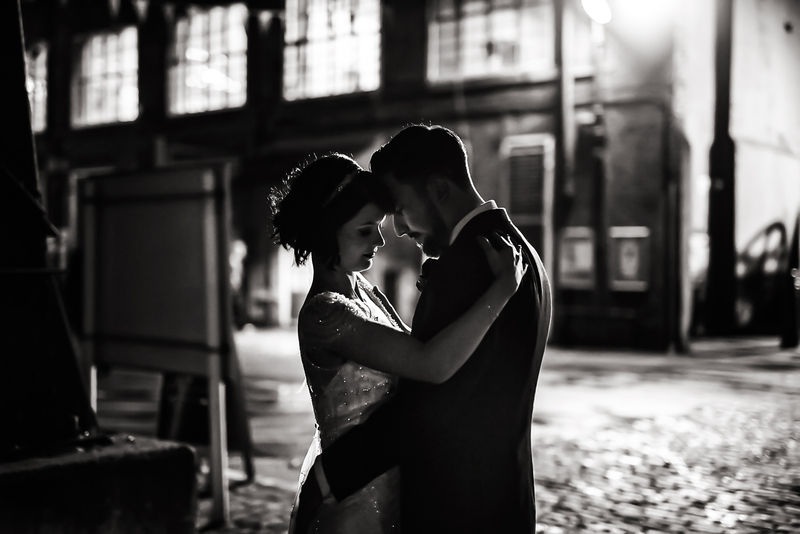 We chose the quirky Kelham Island Museum in Sheffield for our wedding venue and were able to have both the ceremony and reception in the same place. 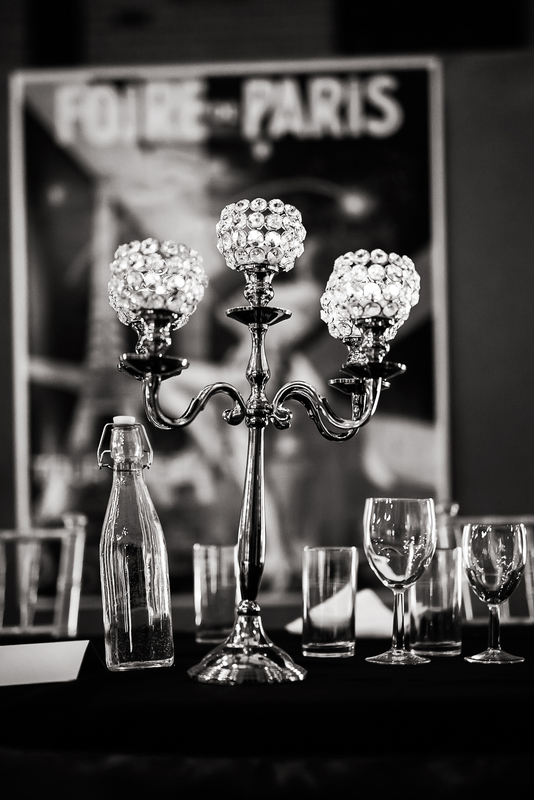 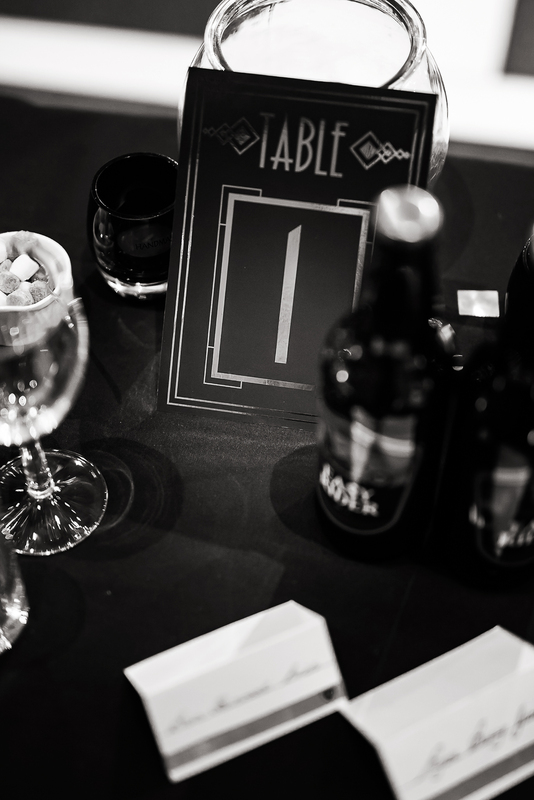 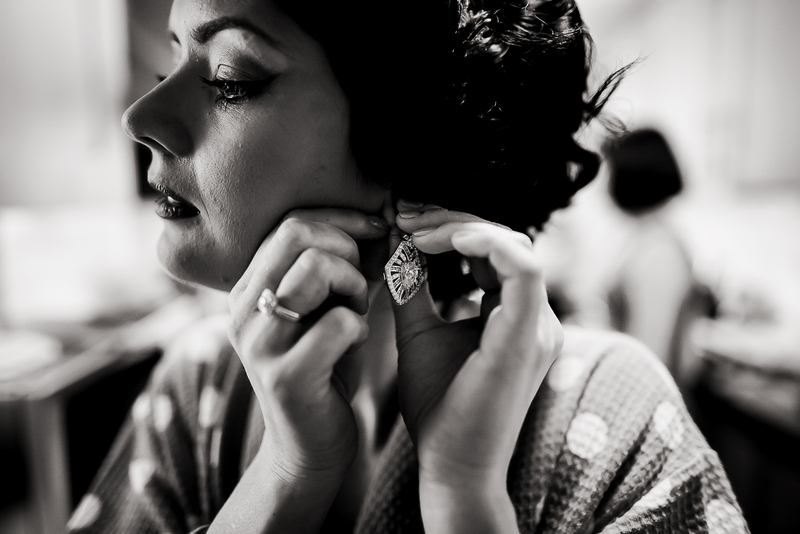 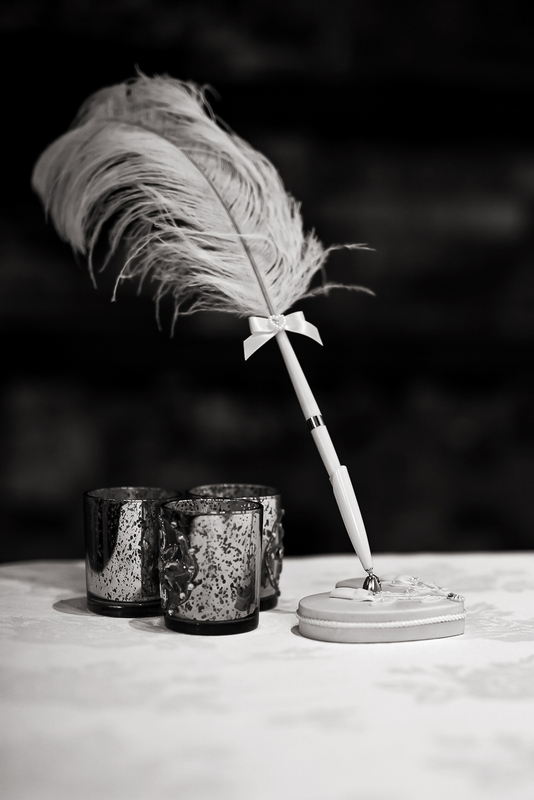 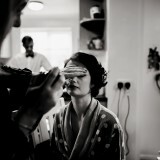 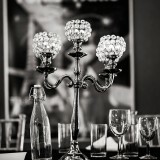 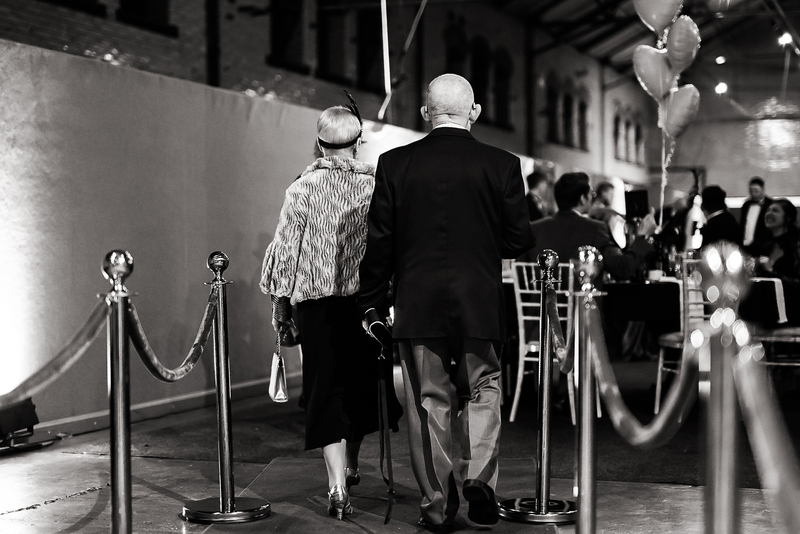 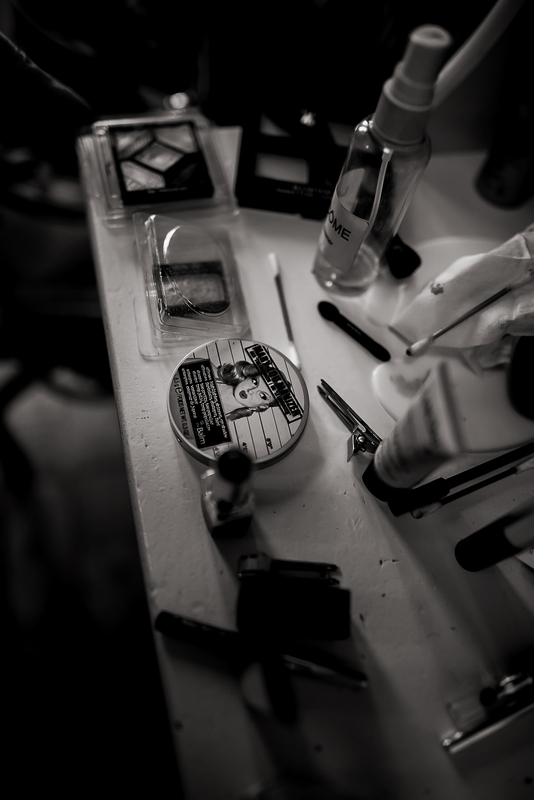 Our theme was 1920s – it’s such a glam era! 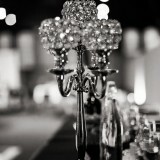 To work with this styling and also the winter season, we had a black, gold and red colour scheme. 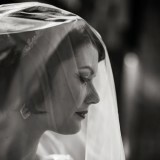 I chose a fitting Maggie Sottero gown for my wedding day attire. 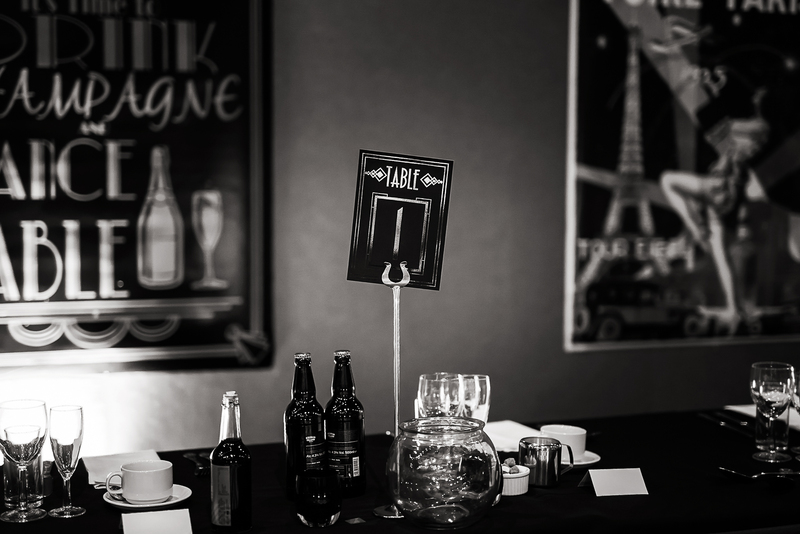 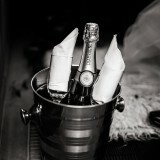 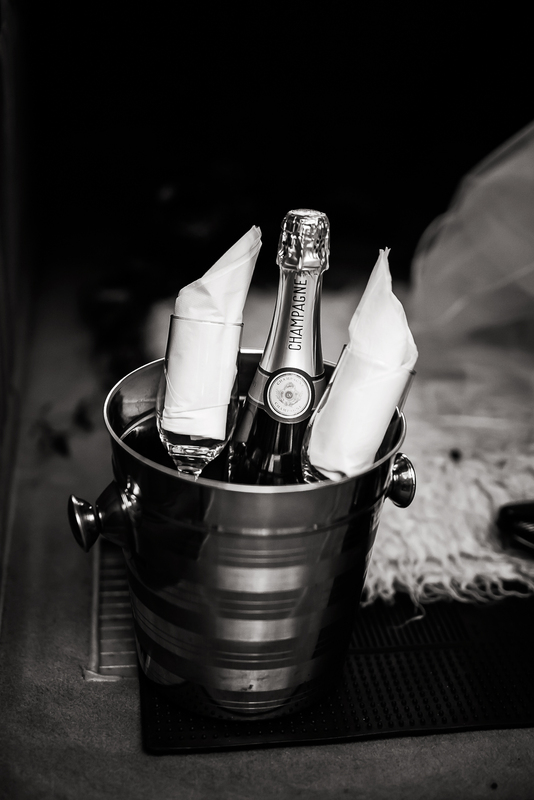 It was a sleek design and champagne in colour, which was perfect for the theme. 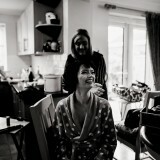 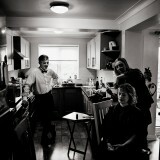 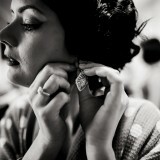 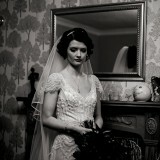 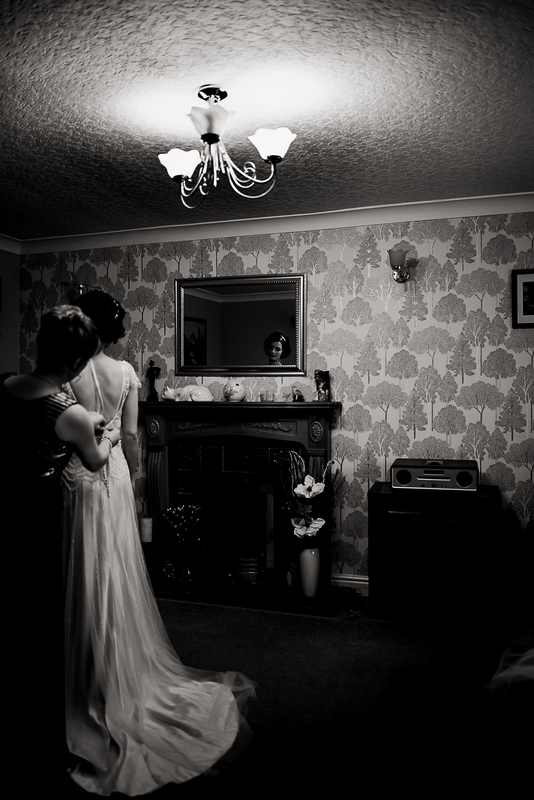 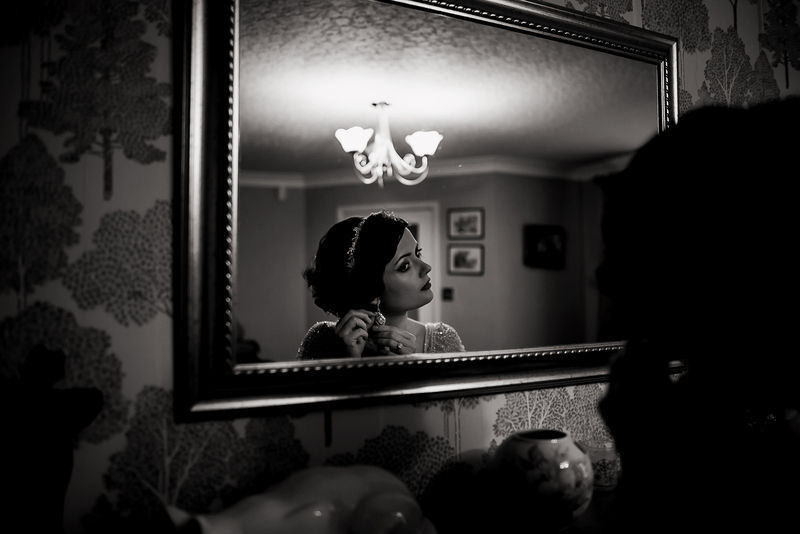 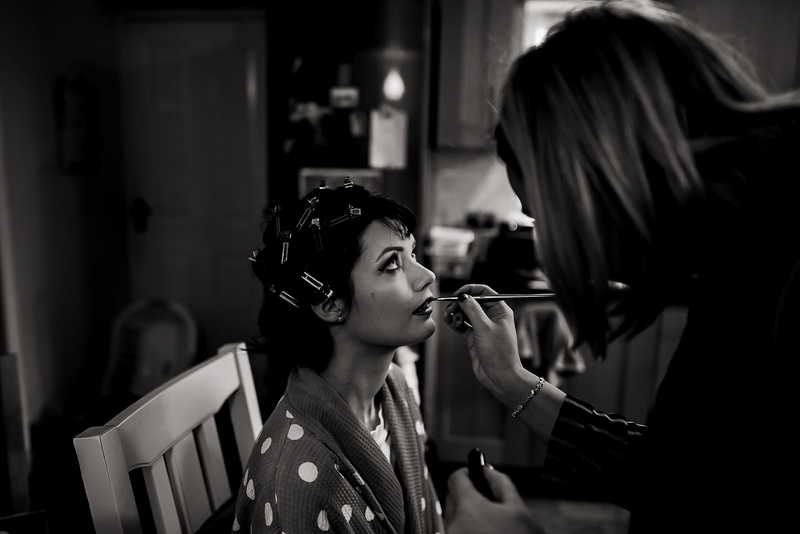 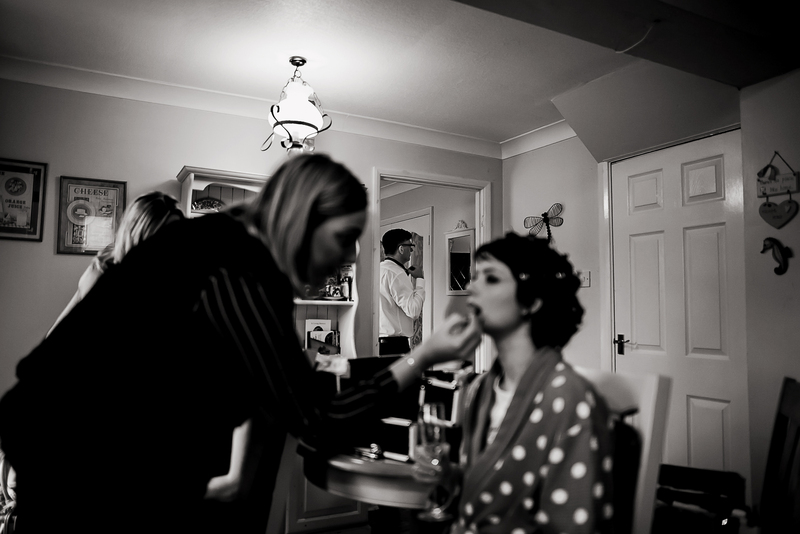 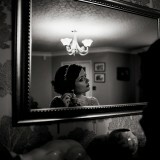 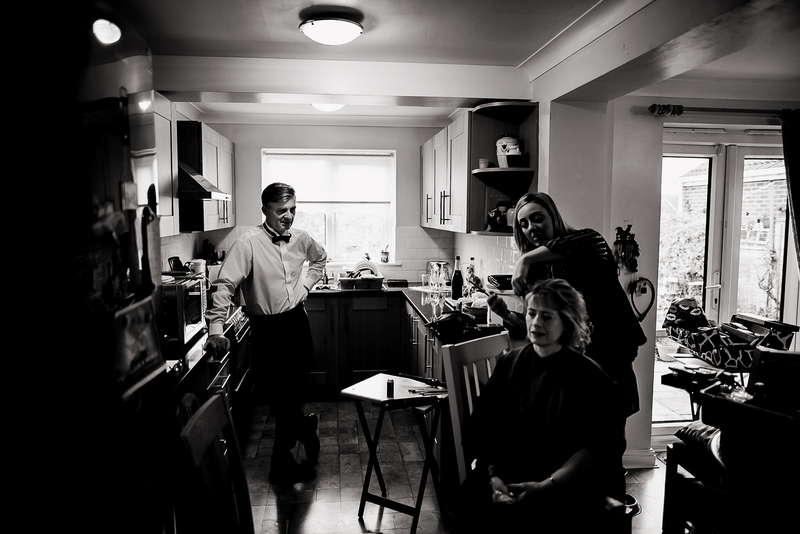 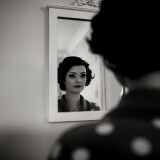 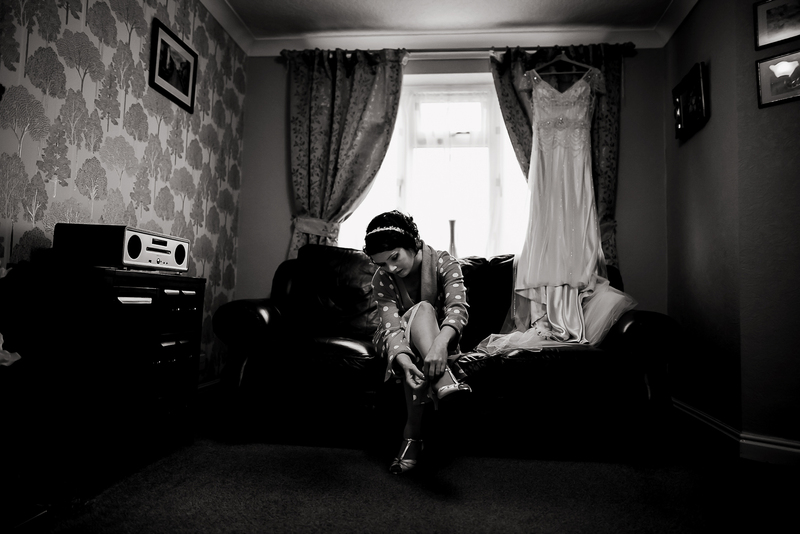 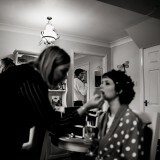 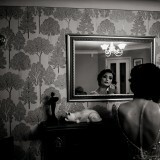 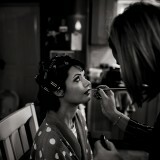 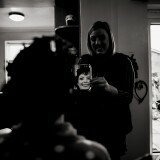 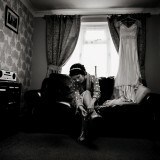 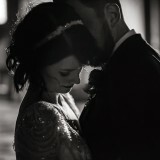 My bridal hair and makeup was done by Peaches & Preen. 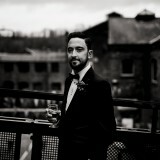 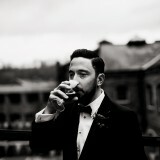 Ryan wore a dark blue suit dinner suit, tailored by Ted Williams, located on London Road in Sheffield. 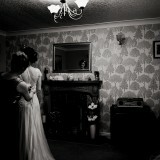 Our bridesmaid wore a lovely dress from Coast and the groomsmen’s outfits were from Skopes at Boundary Mill. 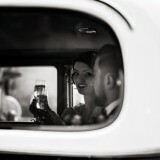 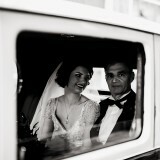 On the day of the wedding I travelled to the venue in a 1030s Rolls Royce, which was hired from Cupid Carriages. 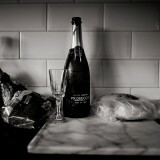 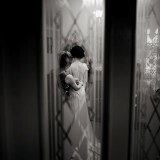 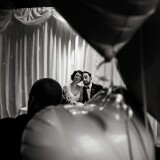 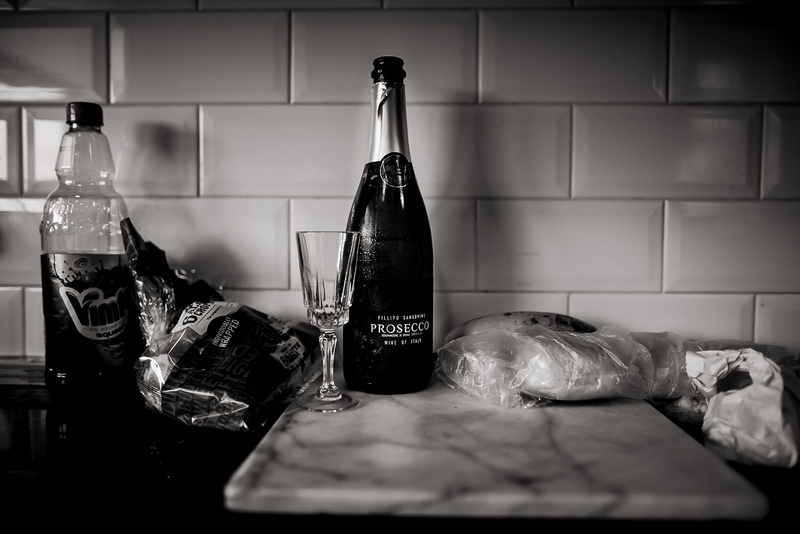 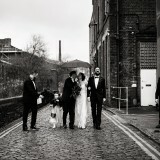 Photographer Stu Ganderton captured our day. 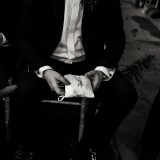 He’s very talented and produces artistic, non-cheesy shots. 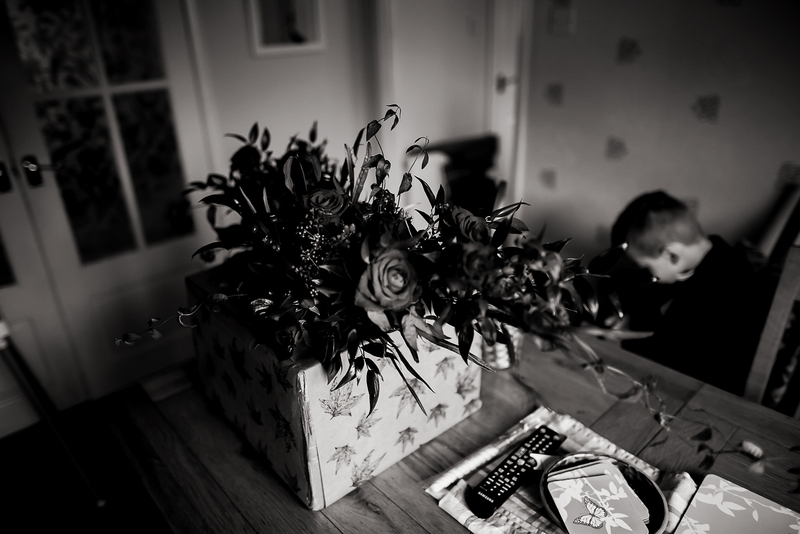 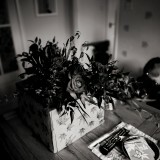 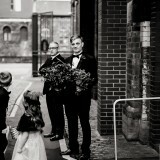 I carried a bouquet of red roses, which was created by Orchis Floral Design. 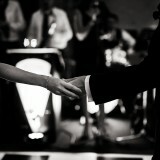 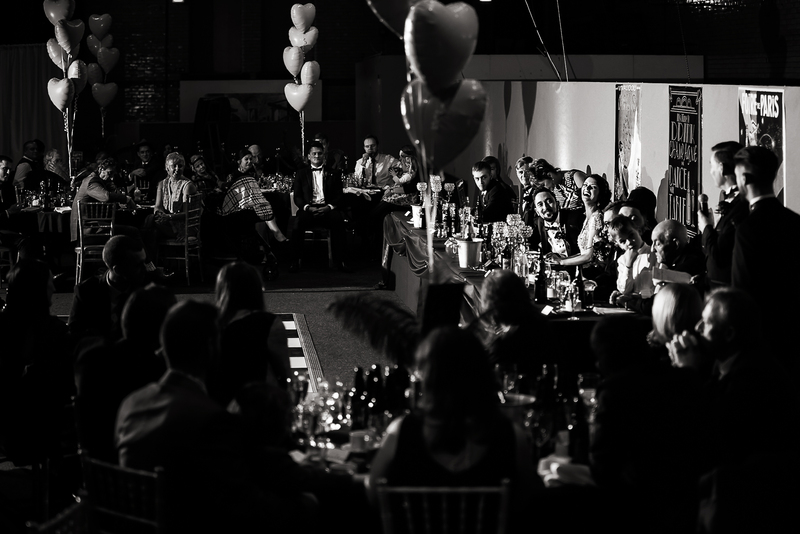 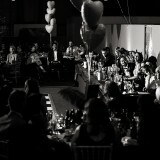 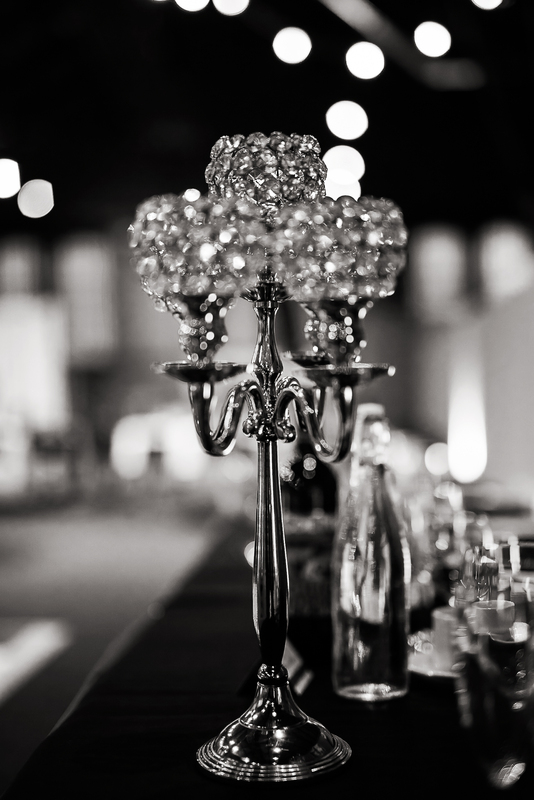 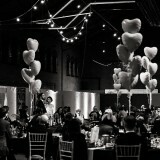 To decorate the venue, we had festoon lighting, candelabras, lanterns, balloons and a chequered dancefloor! 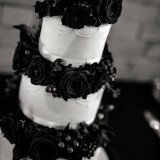 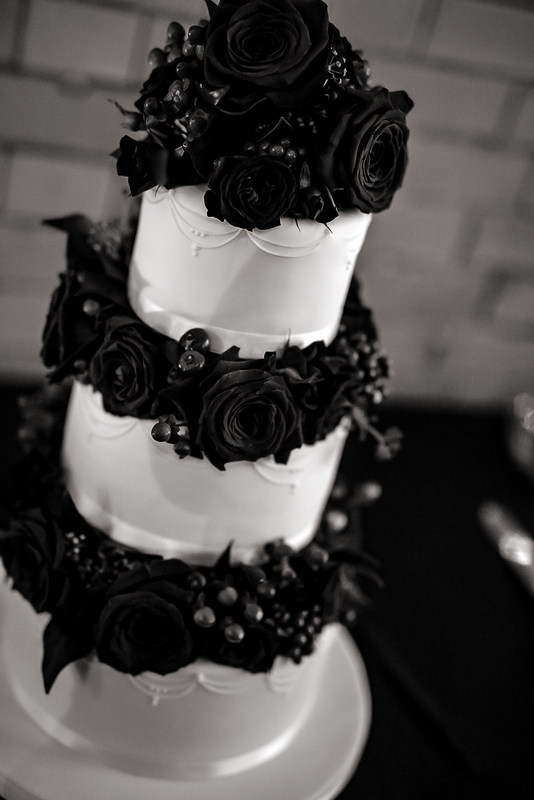 We had a three-tier wedding cake with beautiful fresh flowers between the layers., which was made by Oh Sugar. 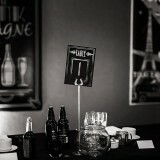 Harley Catering provided our wedding breakfast. We wanted to give our guests a choice of three main courses and they were very accommodating of our requests and professional throughout. 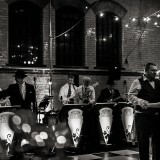 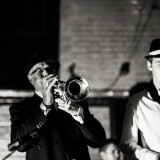 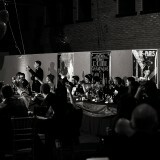 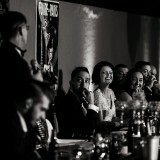 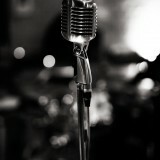 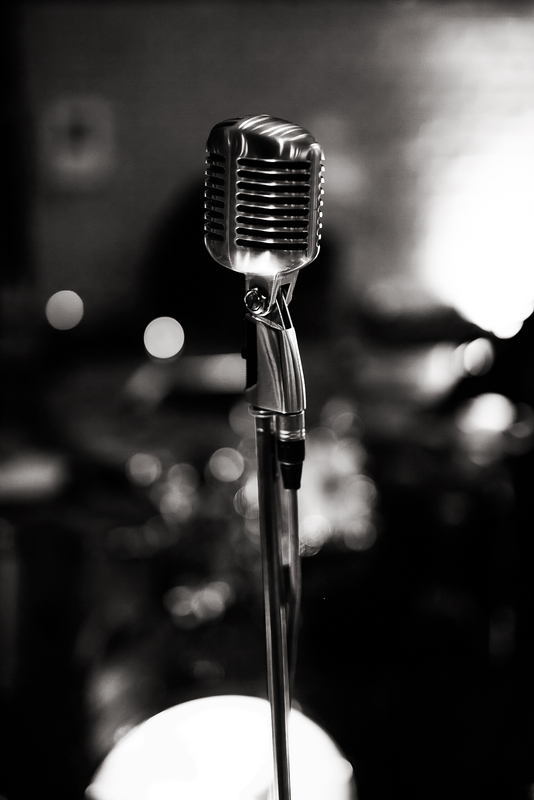 To fit the theme, we hired 1920s style band, Kal’s Kats, to provide the entertainment. 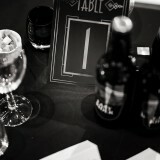 We also had some casino tables. 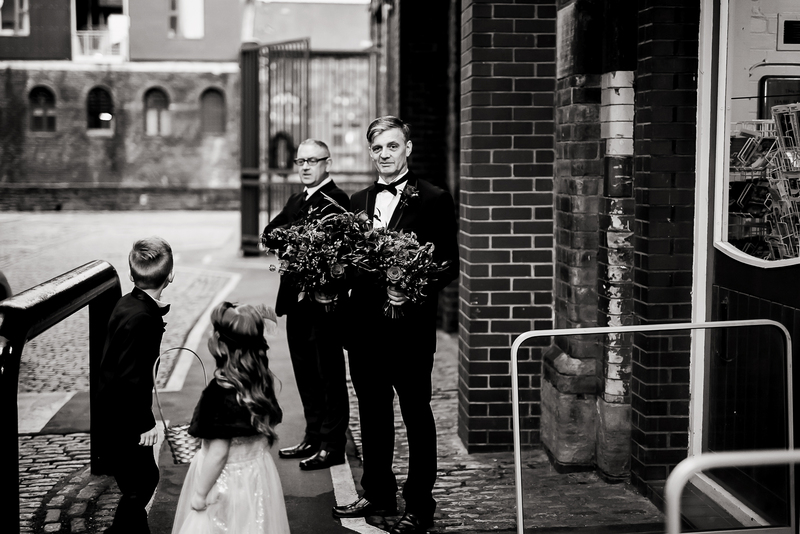 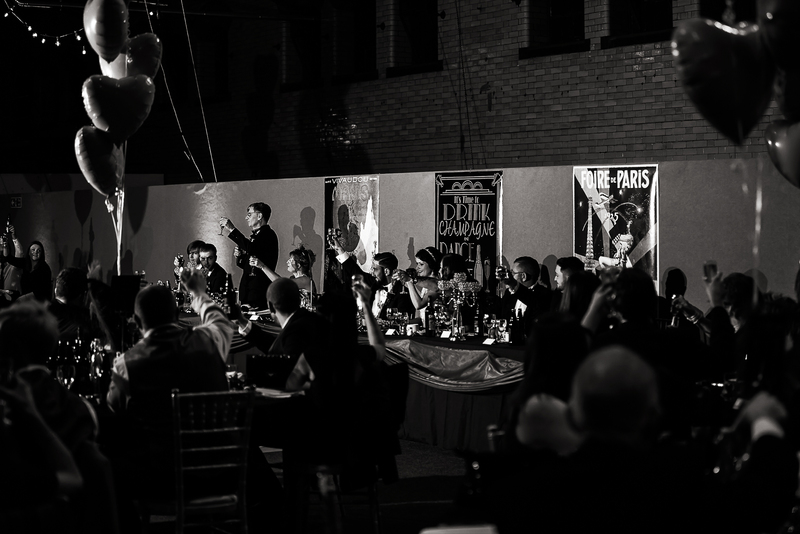 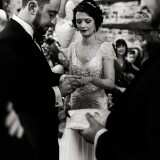 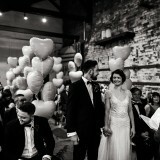 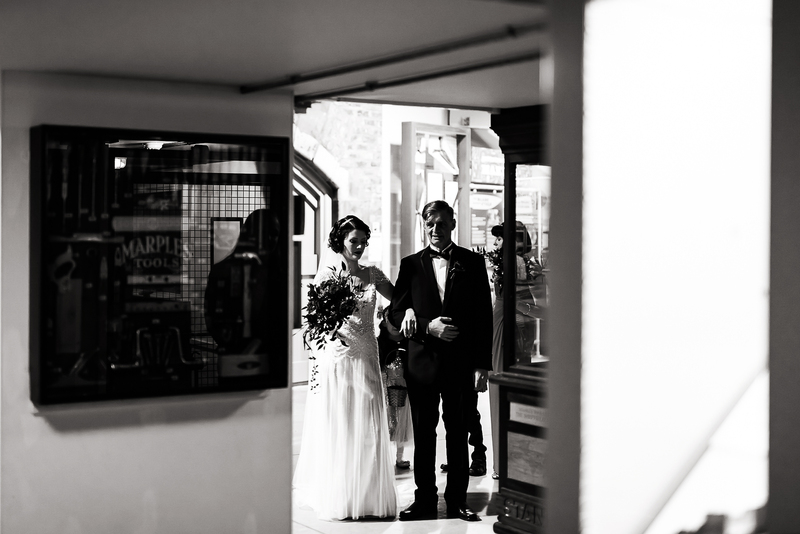 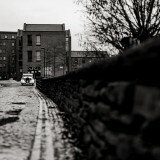 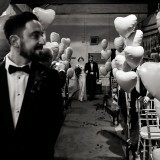 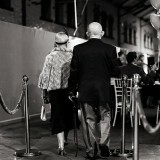 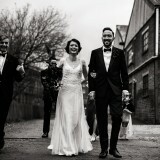 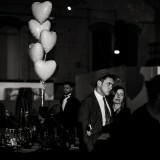 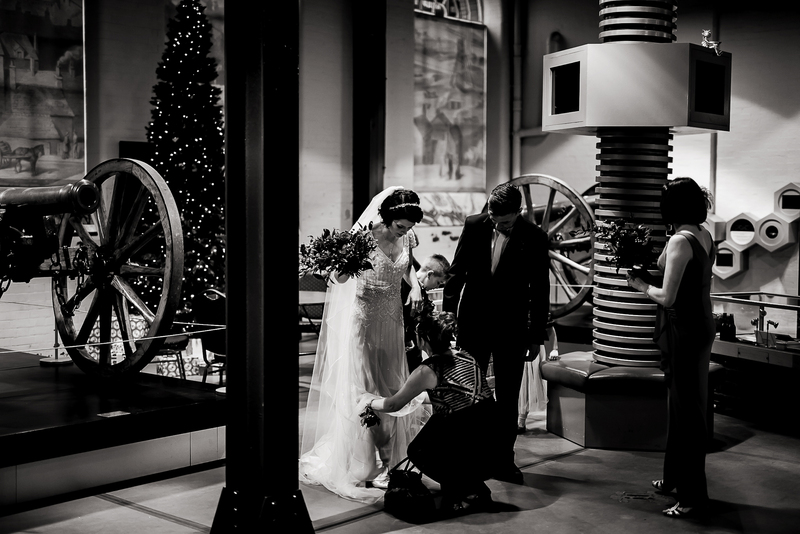 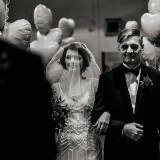 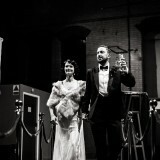 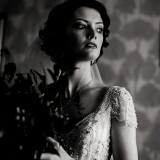 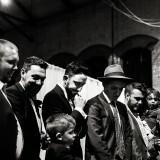 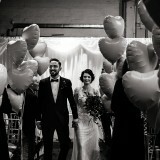 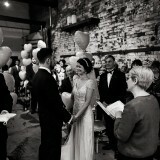 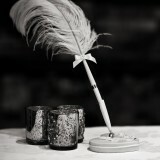 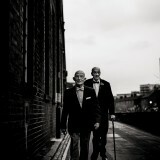 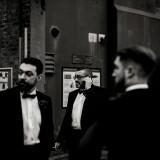 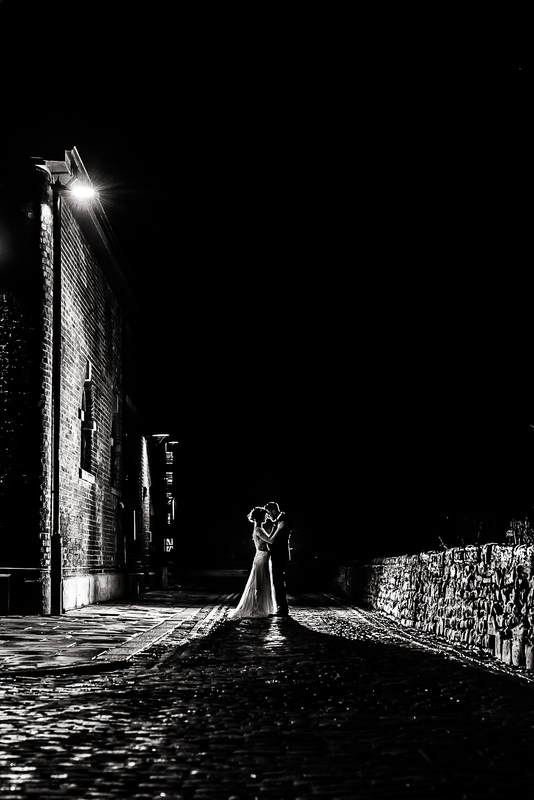 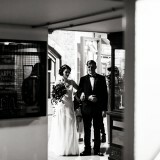 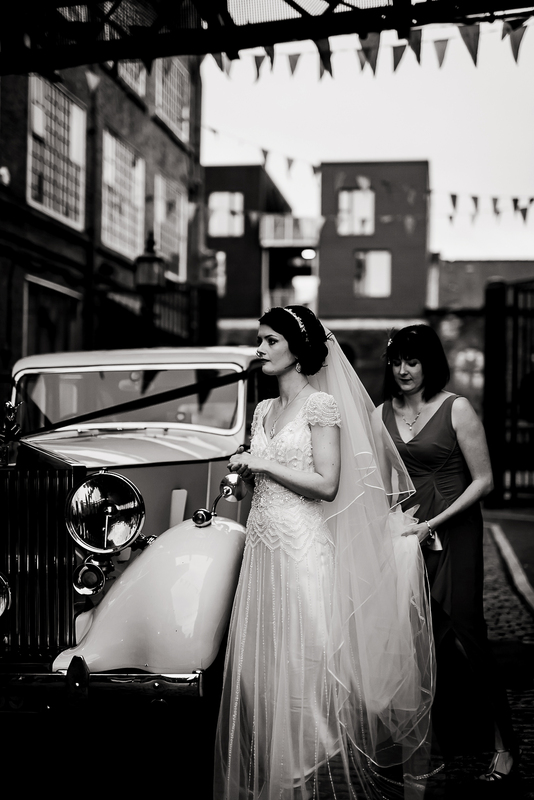 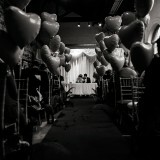 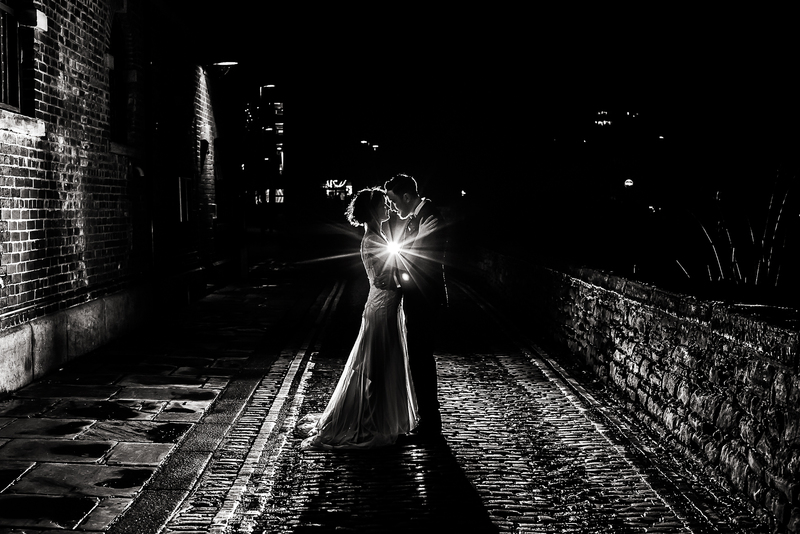 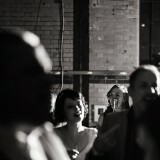 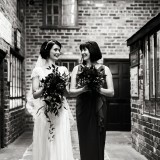 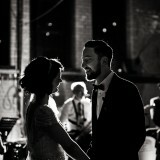 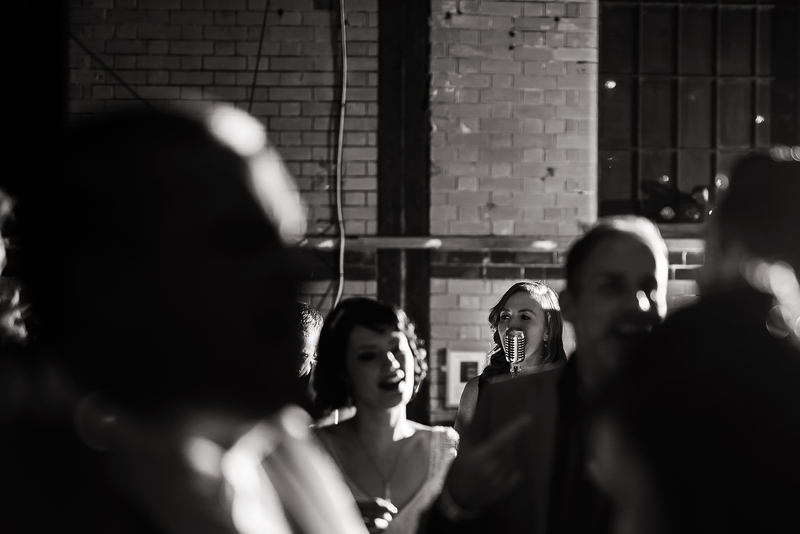 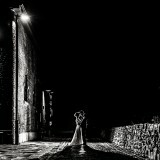 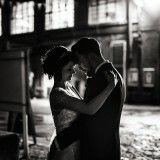 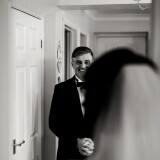 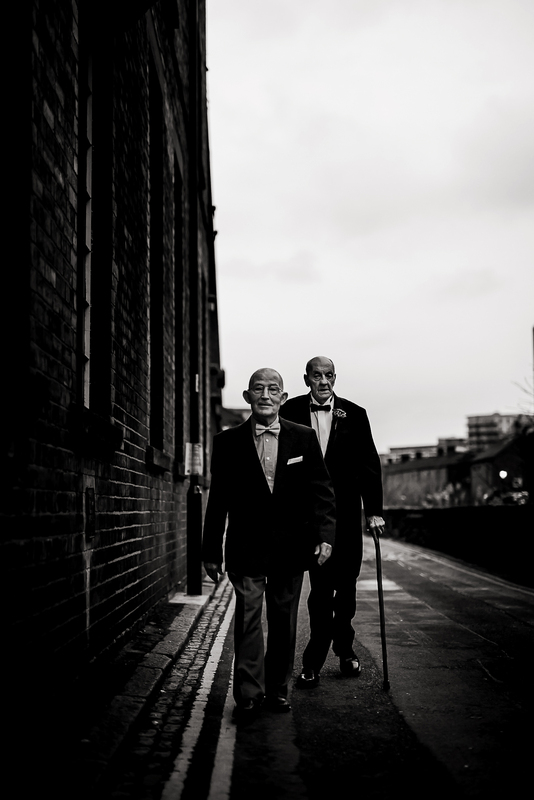 Following our wedding we would definitely recommend Kelham Island Museum to other brides and grooms. 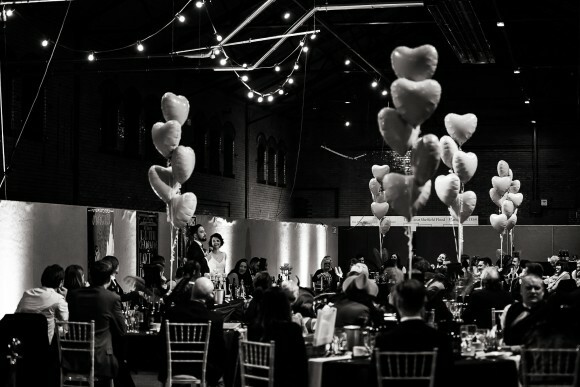 It’s a very quirky and unique venue, you just need to have a bit of imagination! 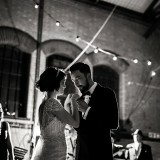 Other than the vows, my favourite part of the day was having a good dance on the dancefloor with friends at the end of the night. 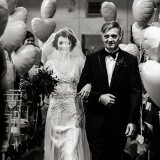 After the wedding, we went on honeymoon to New York. 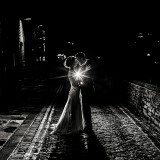 It was very cold and very expensive but brilliant! 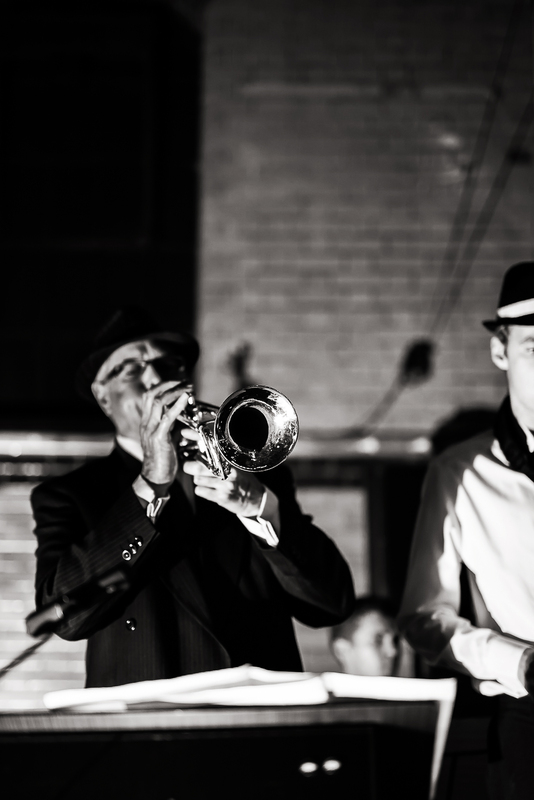 We loved clubbing in Brooklyn! 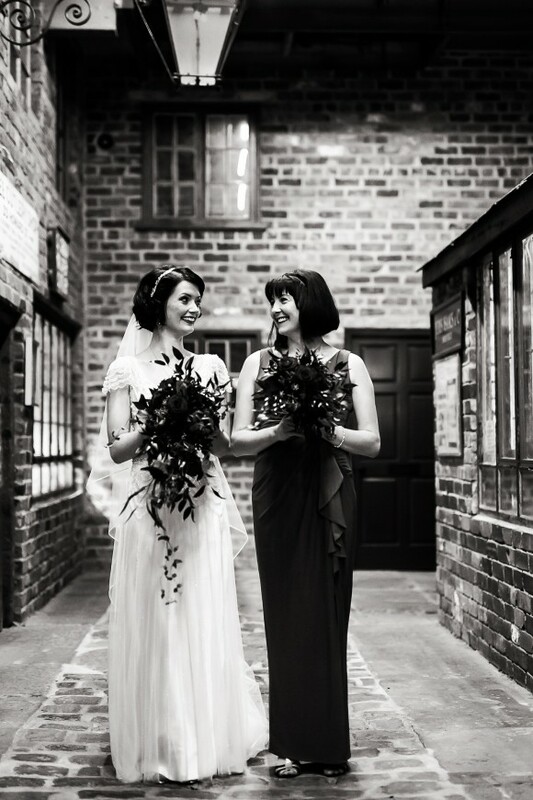 My top tip for other Brides Up North would be to have a theme as it makes it easier to focus on what you want to achieve. 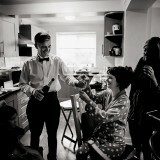 Also, don’t panic, it all comes together in the end!